Facebook’s home turf is in Silicon Valley, but the company’s most important future battles are largely shaping up 3,000 miles away in Washington, D.C. To win, the social media giant is on a hiring spree focused on the nation’s capital. 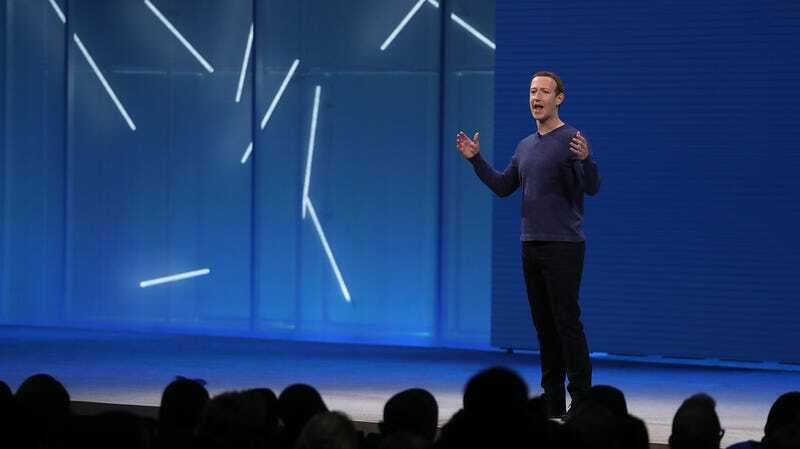 As public opinion turns increasingly skeptical of the 2-billion person strong social network and more U.S. government officials follow suit, CEO Mark Zuckerberg is more and more engaged in a multi-front fight on questions like privacy legislation, reported upcoming fines against the company, and potential antitrust action, all of which are areas of enormous consequence to Facebook’s future. To fight, Zuckerberg is enlisting a host of experts with intimate knowledge and influence inside Washington. The D.C.-focused hiring effort, which extends back to the aftermath of the 2016 election of Donald Trump, has seen an increasing number of new important hires in the last year. In private, the reaction from Capitol Hill ranges from closely curious to intensely skeptical that the host of new hires will do anything to improve Facebook’s practices while inside the company on issues like competition and privacy, according to people familiar with the discussions. Everyone outside the company is waiting and watching. The hires are part of a broad lobbying effort by Facebook that saw the company spend a record amount of cash to influence Washington in 2018. Many of the hires are a complement to the registered lobbyists Facebook discloses every year. Facebook spent $12.6 million on official lobbying in 2018, up from $11.5 million the year prior. Google still sets the standard on tech money spent with a record $21.2 million last year. Several of Facebook’s recent hires come straight out of Capitol Hill. Joshua Althouse, who previously served as outreach director for former House Speaker Paul Ryan, is now a policy manager at Facebook. Senator Gary Peters, the Democrat from Michigan and ranking member of the Senate Homeland Security Committee, saw staffer Sydney Paul leave to become a newly minted policy manager at Facebook as of January 2019. Chris Randle, previously the legislative director for Hakeem Jeffries, a Democratic congressman from New York, now works on government affairs at Facebook. The individuals hired and Facebook did not respond to requests for comment from Gizmodo. There is an increasing expectation that federal privacy legislation may become reality within the next year before the entirety of D.C. checks out in favor of the 2020 campaign season. Facebook’s new hires are tasked with wrestling the company’s biggest governmental problems, state and federal privacy laws chief among them. The beginning of Facebook’s most recent concerted effort followed a chorus of calls for Facebook executives to testify before Congress. Zuckerberg and COO Sheryl Sandberg have since both spoken under oath in congressional hearings that included multiple personal apologies about the company’s political, legal, and privacy challenges and failures. Last month, a trio of hires made the most public splash yet out of Facebook’s new Washington, D.C.-focused recruitment campaign. Nate Cardozo, a lawyer long known for his work with the Electronic Frontier Foundation, joined Facebook alongside attorney Robyn Greene, formerly of the Open Technology Institute, and Nathan White from Access Now, two well known tech-focused think tanks and advocacy organizations. All three hires produced a fair amount of public positive press and social media optimism about Facebook taking privacy seriously following 2018's myriad disasters. Public skepticism, like this tweet from reporter Timothy Lee, tended to provoke salvos from technologists who have taken similar career paths. The general argument is that there is no better way to change a tech company than from the inside. The trio, apparently hired to help build trust and fix Facebook’s very public privacy issues, had an altogether strange start to their tenure. After scheduling press interviews about their new work, Facebook directed the new hires to cancel and decline interviews, perhaps a step away from transparency and trust but a step that former Facebook Chief Security Officer Alex Stamos publicly defended by placing the blame on what he sees as unfair media coverage of the company. Late last year, Facebook hired Hershel Eisenberg, whose career threads through Capitol Hill, the Department of Defense, and Human Rights Watch before he moved to the private sector. Eisenberg is now Facebook’s privacy & public policy manager. Bijan Madhani, formerly a lawyer with the Food and Drug Administration, was a policy lawyer for the tech industry-funded Computer and Communications Industry Association before he landed as a Privacy & Public Policy Manager at Facebook’s Washington, D.C., operation recently as well. There’s no sign that Facebook’s Washington build-up is over nor that the challenges the company faces among policymakers will go away. Facebook can no longer “force its users to agree to the practically unrestricted collection and assigning of non-Facebook data to their Facebook user accounts,” according to Andreas Mundt, the head of Germany’s antitrust regulator known as the Bundeskartellamt which translates to the Federal Cartel Office. “The previous practice of combining all data in a Facebook user account, practically without any restriction, will now be subject to the voluntary consent given by the users,” Mundt said. Facebook posted a blog disagreeing with the German ruling and declaring their intent to appeal. If you work at Facebook or are knowledgeable about the company, Gizmodo would like to know more: email poneill@gizmodo.com or use Signal to message +1-650-488-7247.